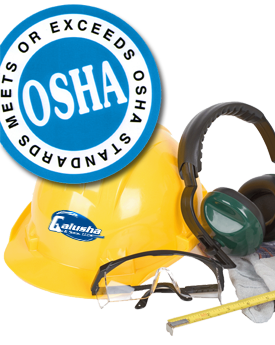 Galusha & Sons, LLC is firmly committed to providing employees with a safe and healthy work environment. Our focus has been to help our employees utilize safety procedures that have been established by the company. Learning to make the correct safety decision and having the right and responsibility to stop any unsafe operation. Employees attend annual safety training, have OSHA 10 hour and 40 Hour Health & Safety HAZWOPER training. Weekly “Tool-Box” meetings are reviewed on all job-sites. All new employees go through a Safety Orientation before going to any job site. Galusha & Sons prides itself in providing the highest level of service to all its customers and employees.